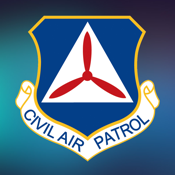 The Civil Air Patrol is an all-volunteer auxiliary of the U.S. Air Force focusing on three primary missions. With this app, members will find direct links to the official CAP Facebook and Twitter feeds, plus integrated eBooks of a select group of the most referenced regulations. Also included are news feeds directly from National Headquarters and a special Youtube feed of CAP videos.